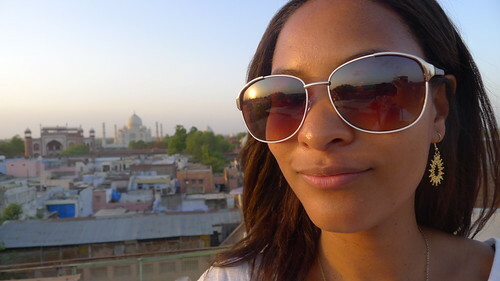 The city of Agra was another city I had been anticipating to visit on the tour because it is home to the Taj Mahal. 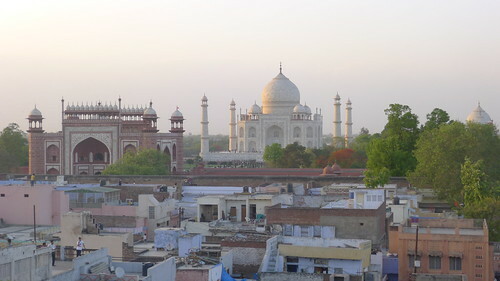 Dushyant knows all the good spots wherever we go and took us to a rooftop restaurant for dinner where we could watch the sun setting on the Taj Mahal. 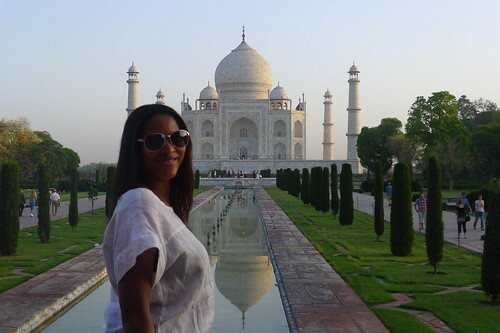 It was my first glimpse of the Taj Mahal and a very moving moment. The is the closest I’d get until the tour the following morning but I thought this was the perfect introduction. Like many major sights in the world its best to get there bright and early before the sun gets too hot and the site gets overrun with tourists. 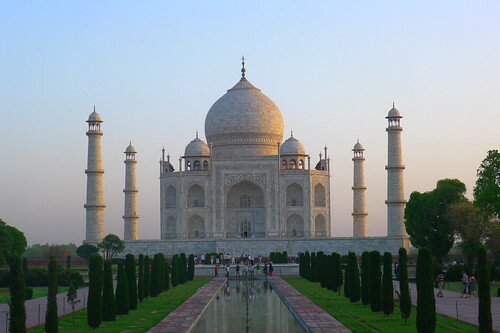 We were at the Taj Mahal at sunrise and had a guide take us through explaining the history and pointing out the best places to take photos from. It’s even more breathtaking up close and I couldn’t believe how serene it made me feel just looking at it. 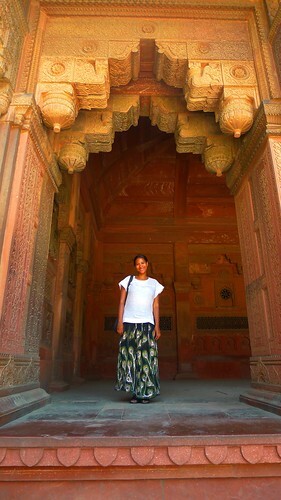 We spent several hours walking around, going inside and soaking in the history. 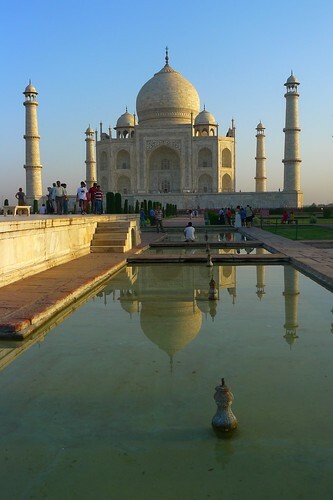 Just as the sun started to get hot we left the Taj Mahal and had lunch at a local restaurant nearby. 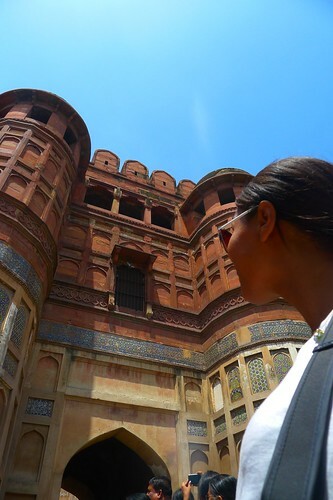 Later in the afternoon we made a visit to Agra Fort, where you can also see views of the Taj Mahal. Agra for was home and prison to the Maharaja who built the Taj Mahal and our guide took us through explaining the layout, design, history and secrets. 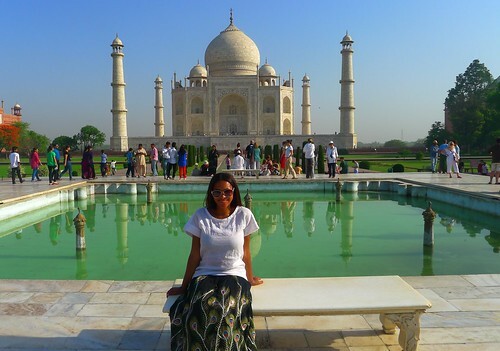 Our time in Agra was short and we only had one night and a partial day, but it was just enough to see the sights and even do some shopping. Our next stop was Varanasi and required an overnight train ride so we bought dinner to take on board the train at the Pizza Hut next door to our hotel. 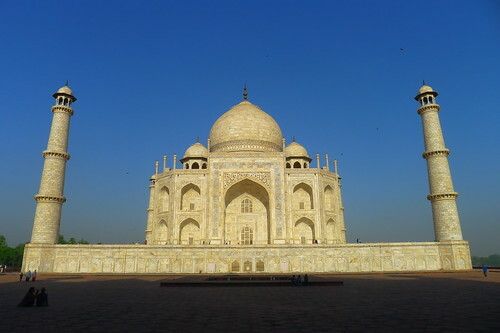 I set off into the night to the northeast with images of the Taj Mahal, its history and the stories of Agra Fort still swirling around in my head.